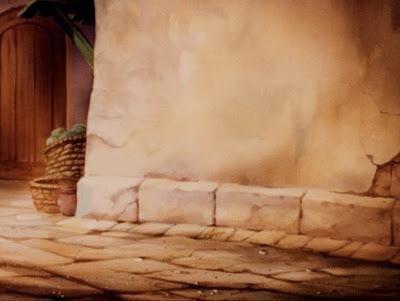 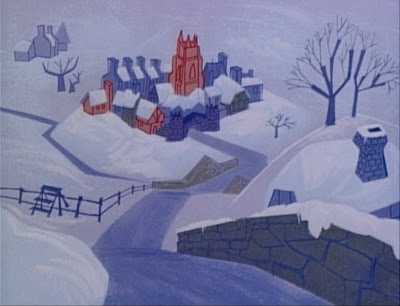 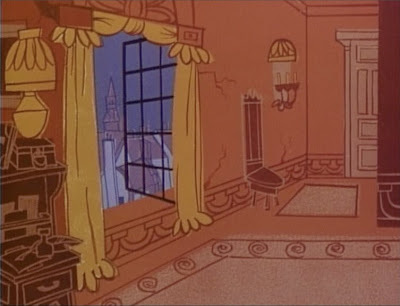 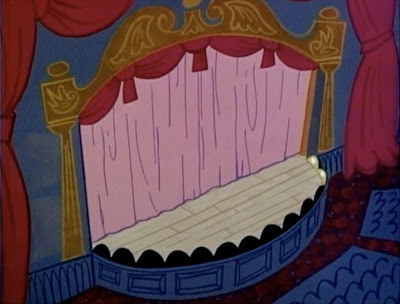 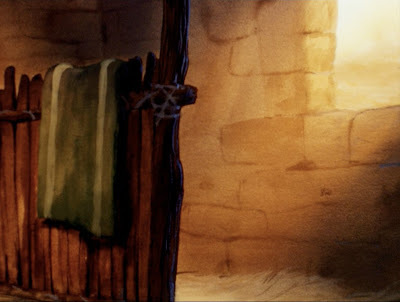 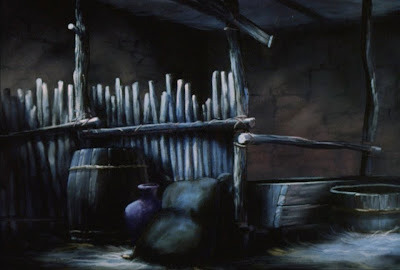 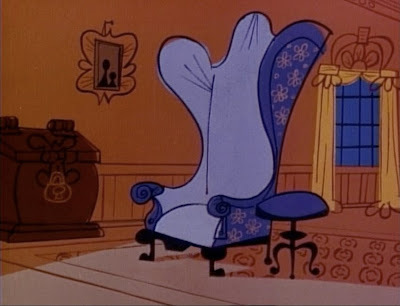 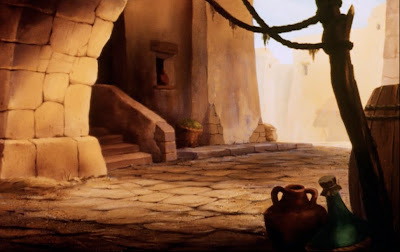 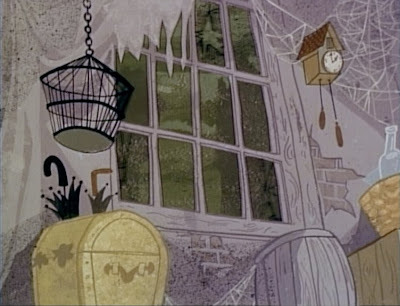 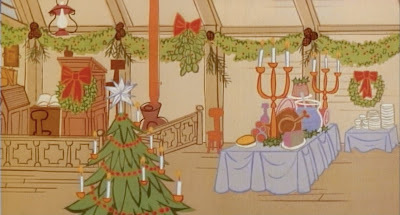 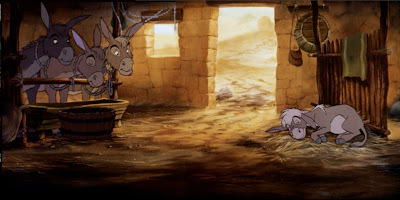 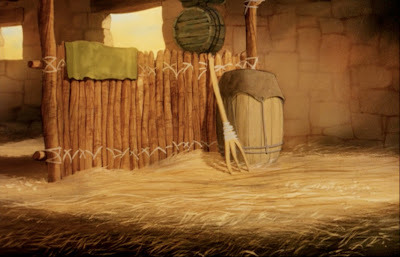 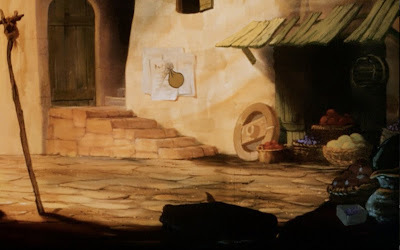 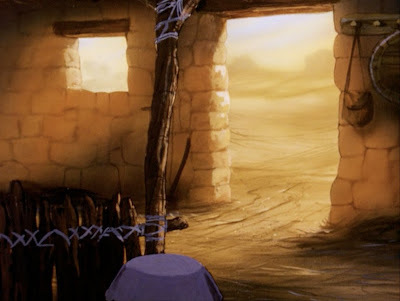 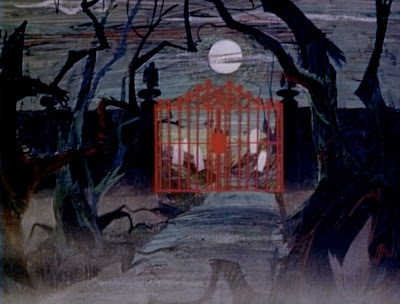 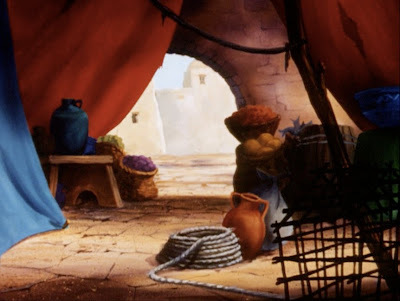 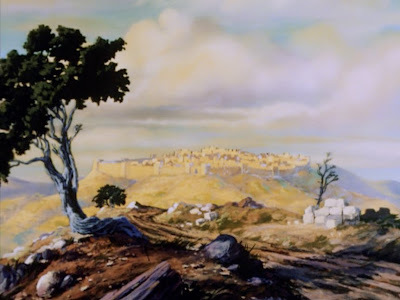 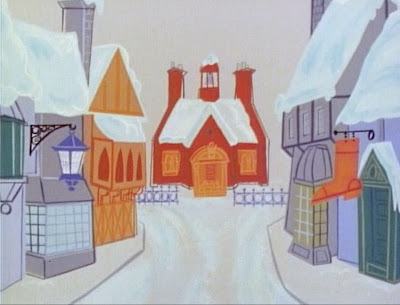 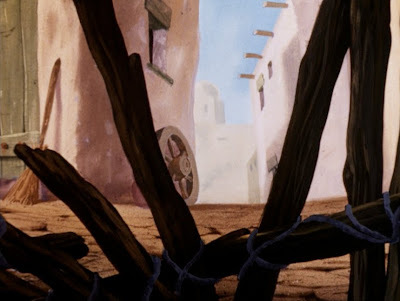 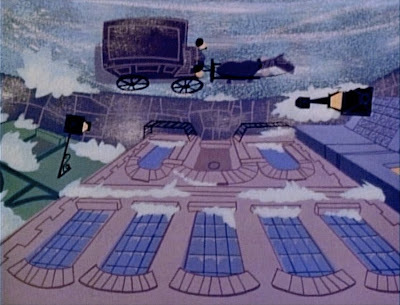 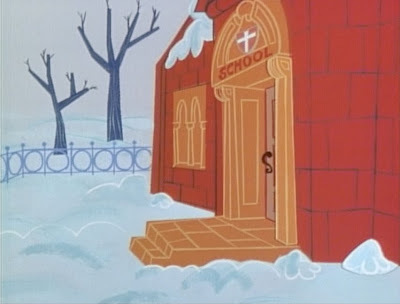 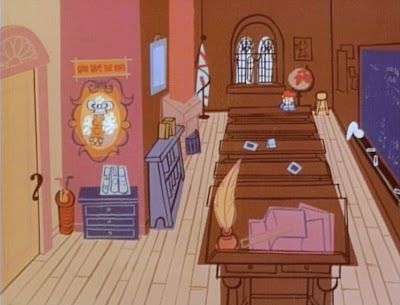 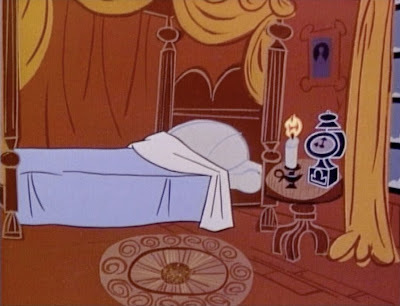 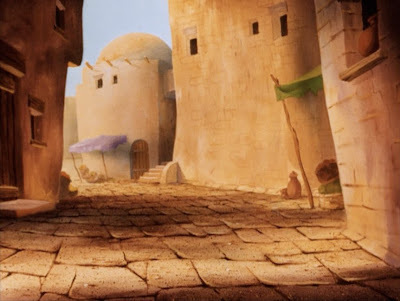 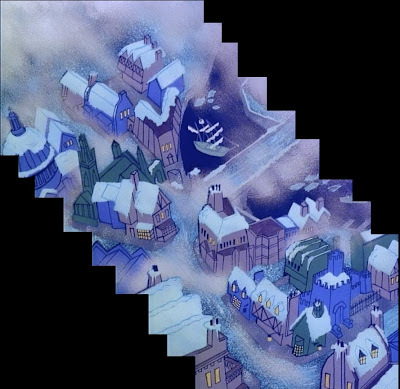 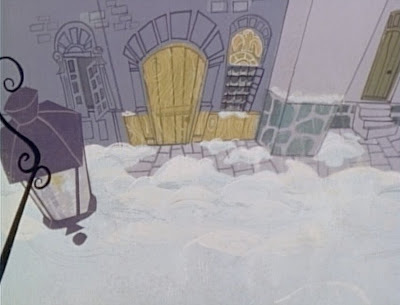 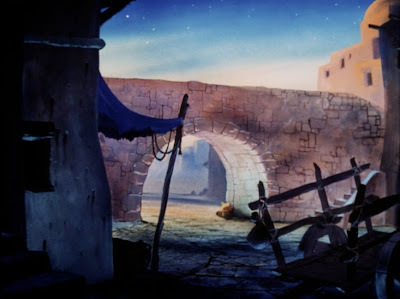 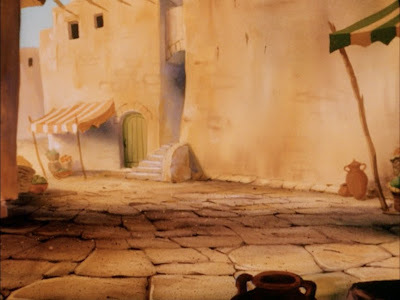 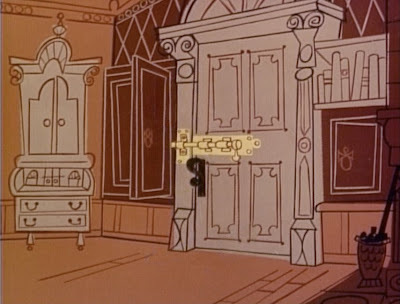 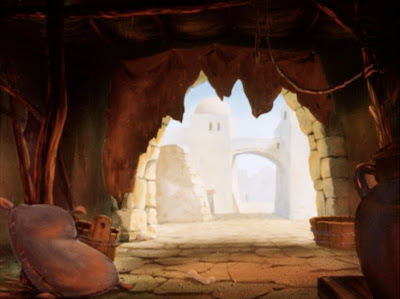 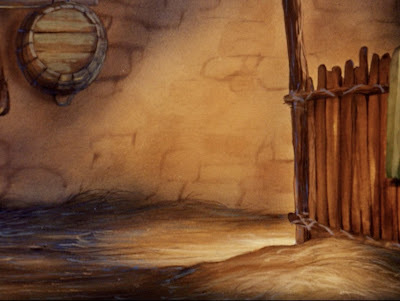 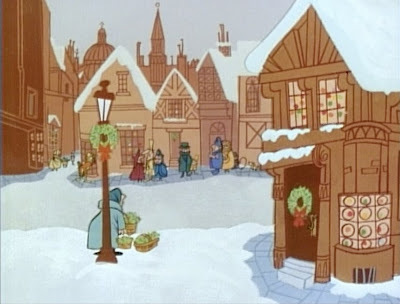 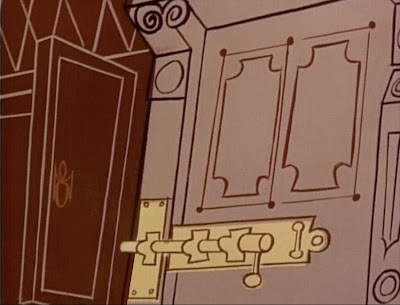 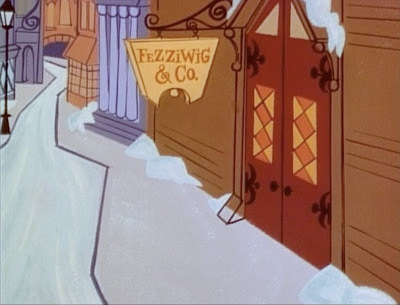 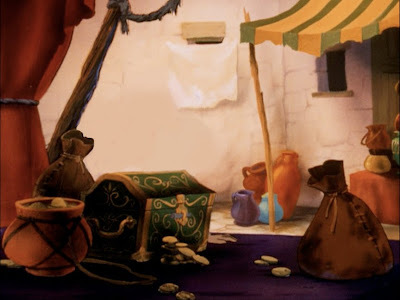 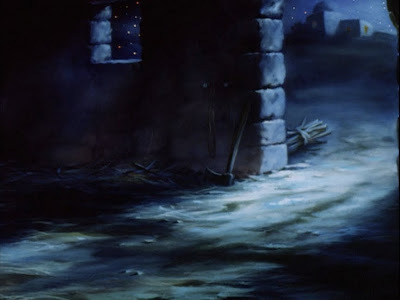 Here's my holiday gift to you, dear readers... an entire set of background art from Mr.Magoo's CHRISTMAS CAROL! 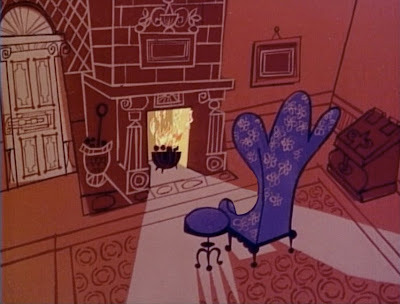 I hope you enjoy the distinctly modern style. 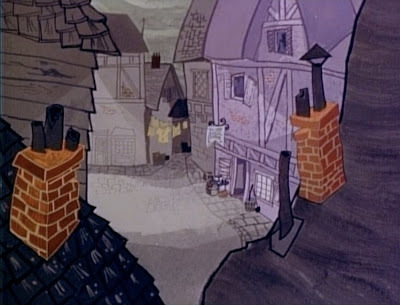 There are many recreated pans here. 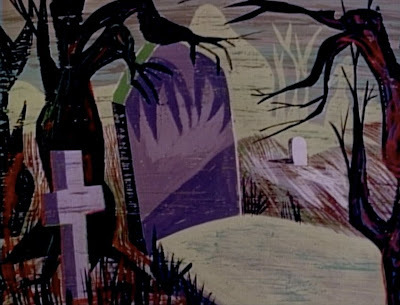 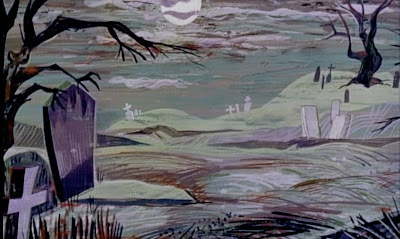 I think the graveyard scene artwork is particularly inspired. 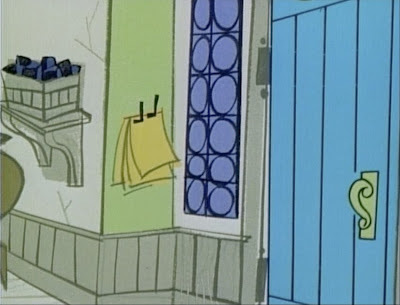 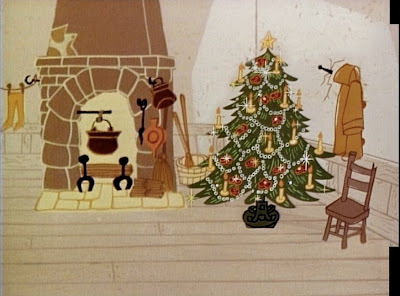 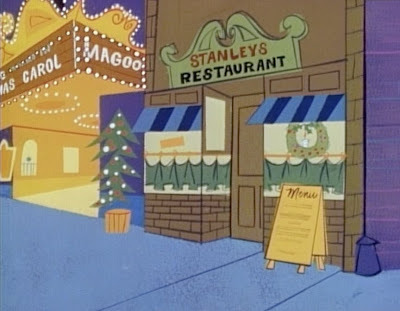 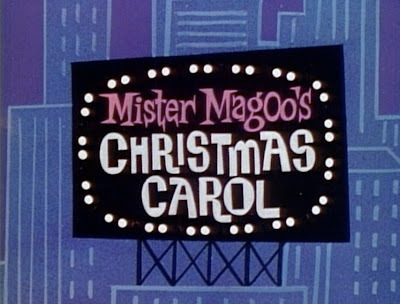 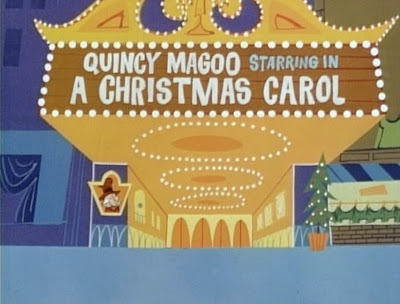 Mr. Magoo's CHRISTMAS CAROL was produced by the UPA animation studio and first aired on NBC on December 18, 1962. 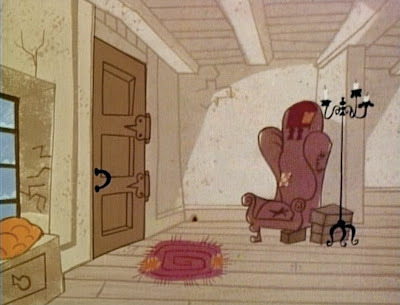 The look of UPA's modern animation is stylish with an intriguing graphic energy. 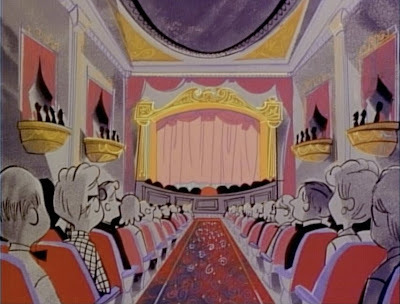 Here is the first installment: as usual, digitally re-assembled artwork... including a marvelous pan background of the theatre building where Mr. Magoo is starring. 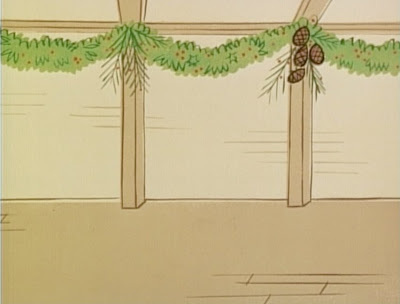 THE SMALL ONE is the perfect Christmas treat! 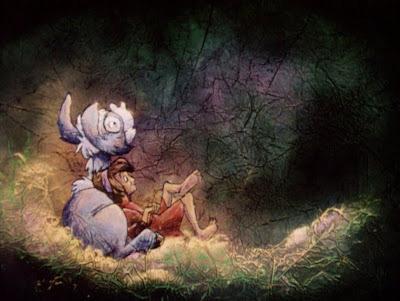 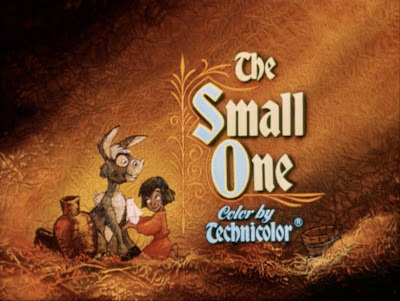 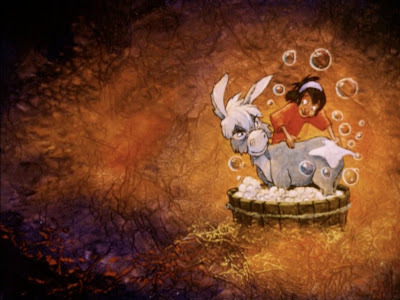 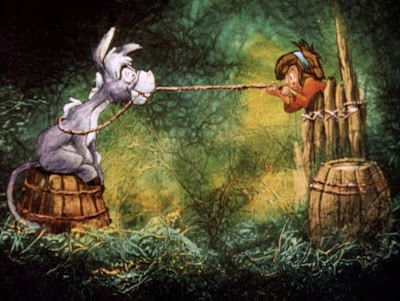 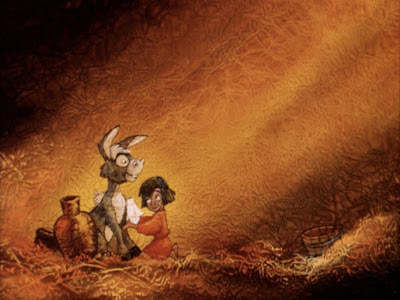 It is a miniature Disney masterpiece, with lovely music, sweet sentimentality, great characters and charming animation. 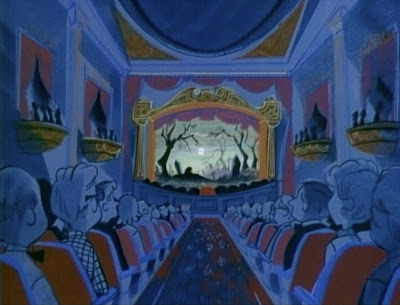 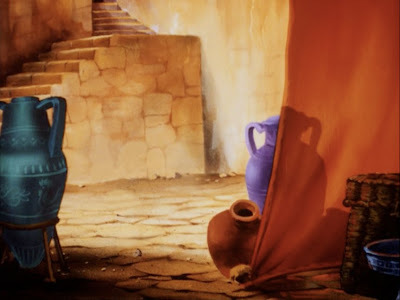 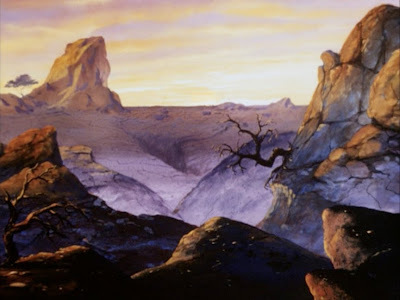 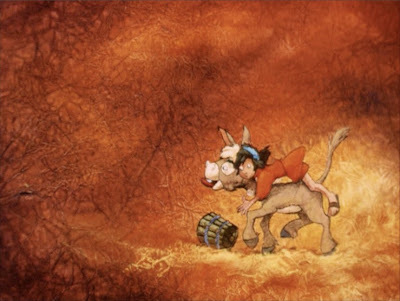 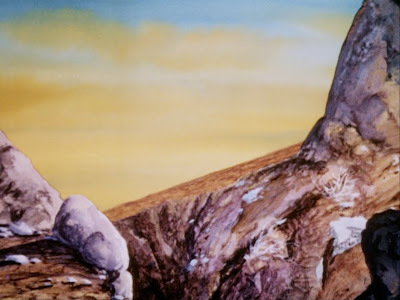 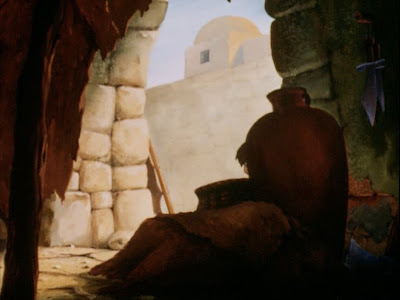 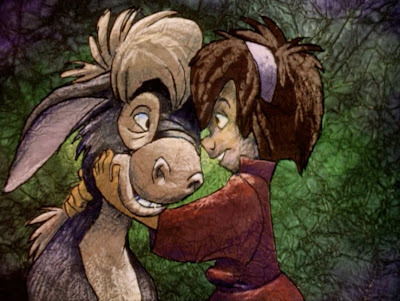 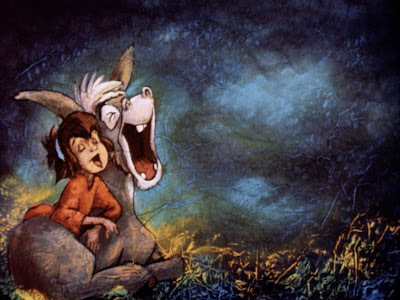 Now, enjoy a variety of newly digitized background art... including several pan B/Gs.